For millions of Americans, acting is a passion and success in the field is a dream that they will work hard to turn into a reality. And while the internet has opened up many new opportunities, it’s still something that will likely be a huge challenge. After all, there is a tremendous amount of competition out there that you have to get past in order to land that breakthrough role. One of the key steps in succeeding in acting is to land a great agent. Agents are the gatekeepers of the industry, and once that you have representation it’s likely that you’ll start having access to new opportunities you couldn’t have found otherwise. Agents aren’t a guarantee that you’ll find work or success, of course, but having a good one will certainly help you on your path to your goals. However, because of the importance of an agent and since they need to choose clients that they can actually find roles for, it’s not always easy to land an agent, either. Agents field thousands of potential client requests every month, and it’s important that you stand out. A few things can help you improve your odds, so here are some of the primary things to understand when working towards getting an agent for acting. The key thing to remember is that your chances of landing an agent are only as good as your acting skills are, so be sure that you’re the best you can be before you start pursuing one. Basically, any role that you can land on your own, you should take. Some may not even pay that much, but the key is to build up a solid resume to turn in to prospective agents in order to get their attention. Your job is simple – you need to convince a talent agent that they should meet up with you in person to determine whether or not you’re worth representing. Your resume will help show them that you have experience and that you’re serious about your art, and your headshot will help them notice you and what you can bring to the table. It’s also important that you don’t change yourself too much. You might not have supermodel looks, but what if an agent needs a character actor with unique looks to round out their roster of talent? The entertainment industry needs all types of actors, so don’t try to change yourself to fit what mold you think is needed. Don’t continually pester agents. Constantly calling them or emailing them asking for a response to your query will end up getting you blacklisted faster than you realize. Be patient – they’re looking at a lot of potential clients and will get to you as soon as possible. Don’t ignore research. A quick search online will usually tell you whether or not an agent is even accepting new clients and also what they’re looking for. Use this info so you don’t waste your time and energy. Don’t give up. This is a long-haul career, not a short-term process. It takes some people years to land an agent and the only way to guarantee that you’ll never make it is that you stop trying. You may even lose an agent that you’ve landed – none of that matters. The key is to keep going. 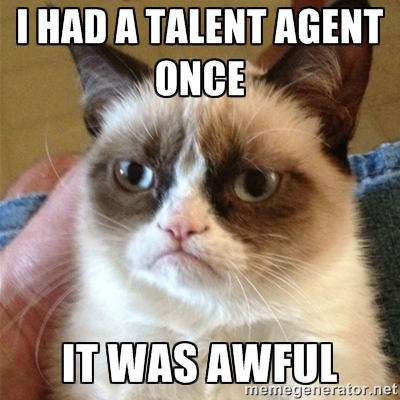 I had a talent agent once, it was awful. Finally, it’s important to touch on something else – that you can become your own best representative. 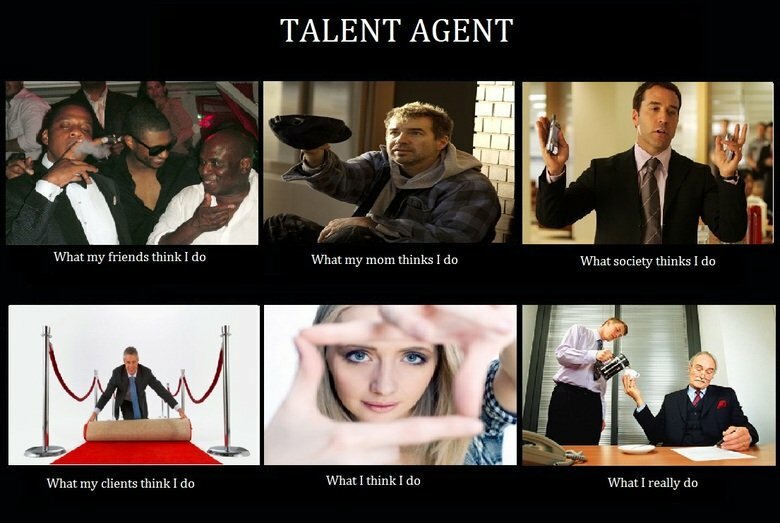 No, we’re not saying that an agent isn’t needed. But for many, the best way to land an agent is to build a name for themselves. Doing so will often have agents actually contacting you! To do so, is fairly simple. Keep on doing auditions, landing small roles, and building up experience and a name for yourself. 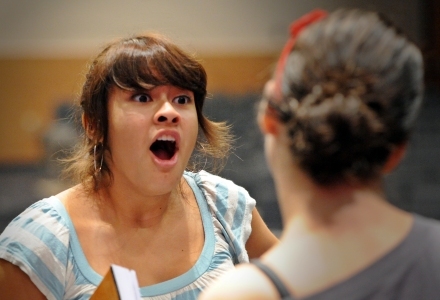 Also consider using online audition resources that can put you in contact with new gigs that you might have missed otherwise. Start your YouTube channel and keep it updated with new videos – everything from you doing monologues or impressions to full-fledged skits you perform with your acting friends. In doing this, you’ll gradually start landing parts – even if it takes years. The more visible and active you are in the industry, the better. You can use these experiences in your resume, and could even have an agent email you from out of nowhere. As long as you keep with your dreams and don’t give up you’ll always have that chance of finding the perfect agent. Hone your craft, stick with the process, and use all the tools and resources available to you. From there, who knows what can happen?